Buy your HOPPECKE 12 OPzS solar.power 1.820 - 2V battery at the best price - online only. OPzS batteries are to be preferred when a high number of cycles, higher than 3.000 cycles, is needed. Their duration can exceed 20 years. They are limited to a discharge depth of more than 50%. These solar batteries offer excellent performance for your photovoltaic installations. Please respect the operating conditions: 25 ° C. Add distilled water every 2 to 3 years. The batteries are filled with sulfuric acid. 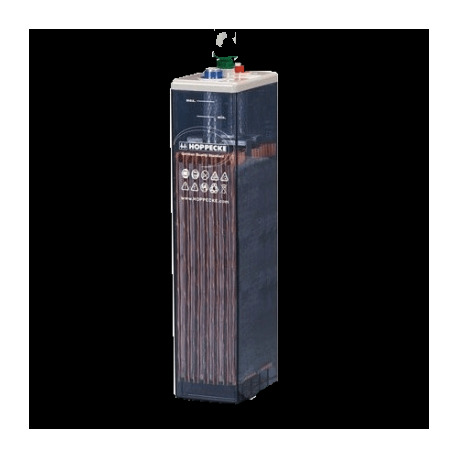 OPzS battery: HOPPECKE batteries can be delivered either charged with electrolytes or charged dry for easy transport. This is an option to choose before delivery, just think of filling them with diluted sulfuric acid if you opt for option # 2. For maintenance, do not forget to add distilled water every 2-3 years. 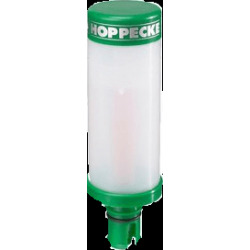 Life cycle: 20 years: HOEPPECKE OPzS 12 stationary tube batteries offer a very long service life. We estimate it to be more than 20 years with 3.000 cycles at 50% discharge at 20°C. This is a clear advantage compared to Gel or AGM technology. Recycling ensured: The manufacturer HOPPECKE guarantees the recycling of these batteries at the end of their life. This German supplier comes to recover your batteries to reprocess all recyclable raw materials. Made in Germany: HOPPECKE has been a specialized battery manufacturer since 1927. German origin stands for reliability and quality. Working at 2 V: The HOPPECKE 12 OPZS solar.power 1.820 are sold from 6 units at 2 V, which allows for a voltage of 12 V. Add several batteries to your basket to get the desired voltage for your inverter. Storage capacity: 1.370 Wh: HOPPECKE batteries offer a capacity of 1.370 Wh to meet your needs. This equates to 1.370 W for a duration of 1 hour. If is not enough, add these same batteries multiple times to your basket. The capacity simply adds up.